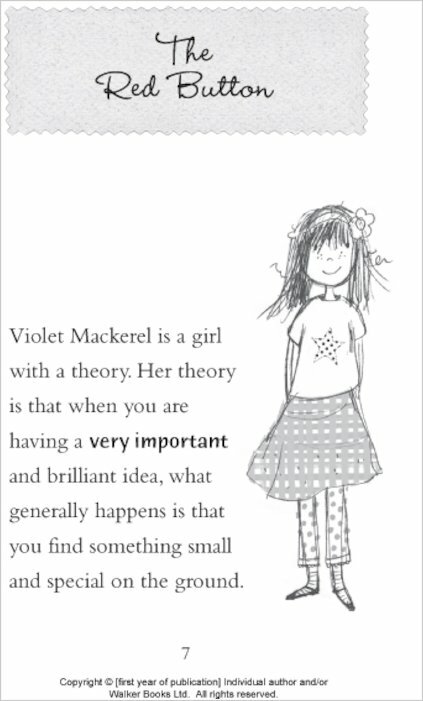 Free-thinking Violet Mackerel has her own approach to life. 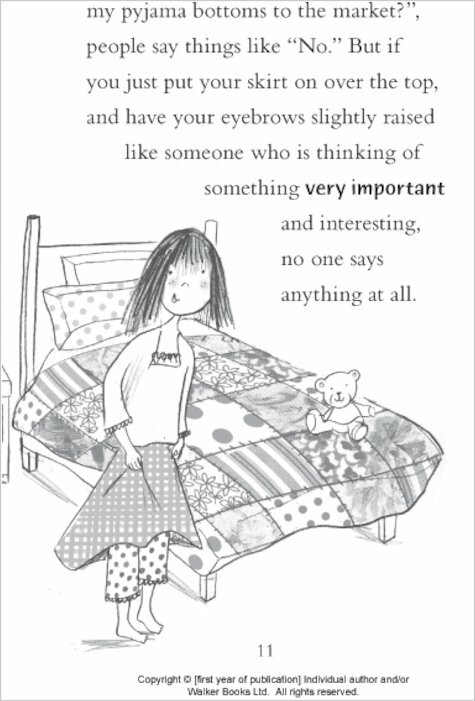 Come and see things in her special way! 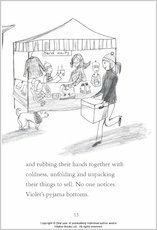 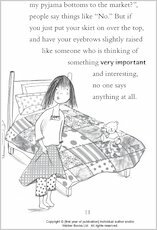 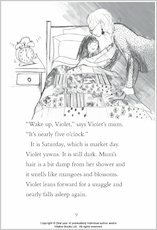 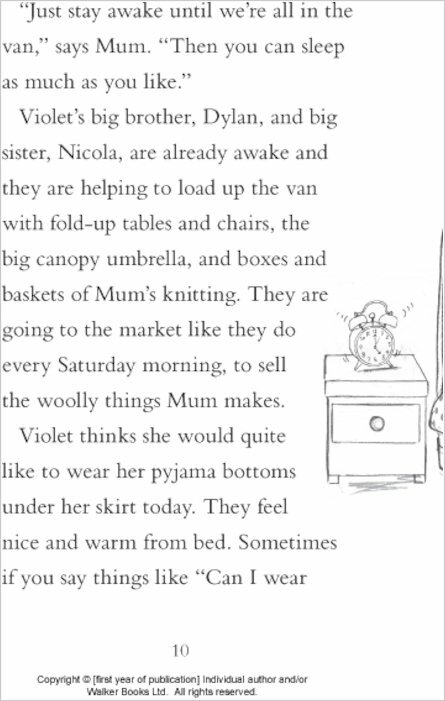 Part of an eccentric, creative family, Violet has learned to think outside the box, finding her own ways to knit, garden and make things. 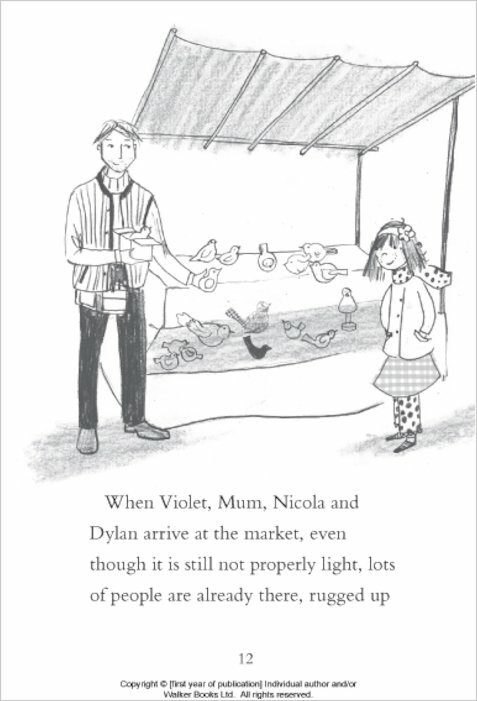 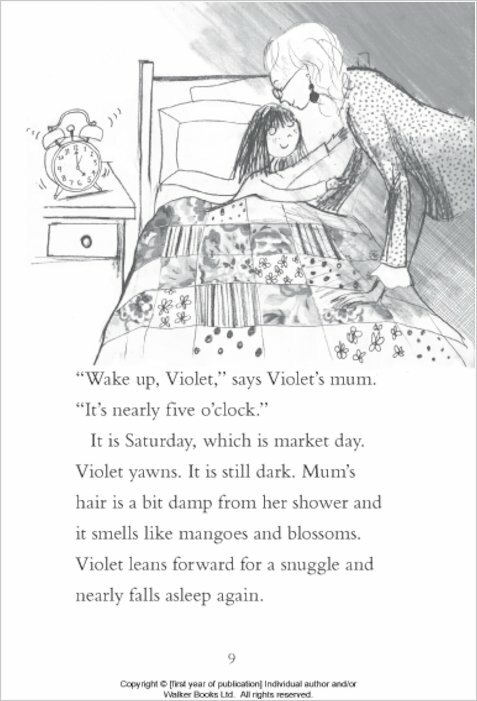 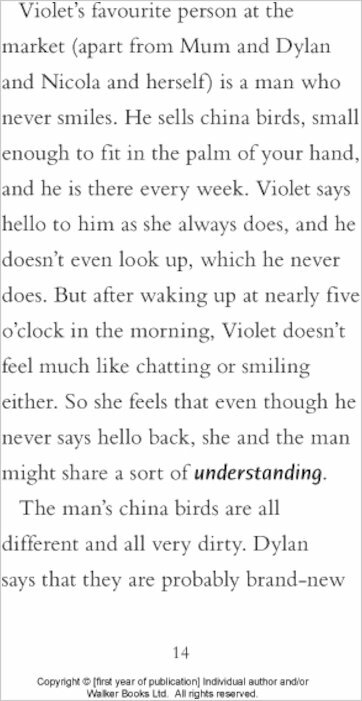 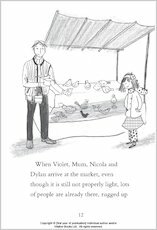 So when Violet is smitten by a blue china bird at the Saturday market, she knows it’s not just a silly wish. 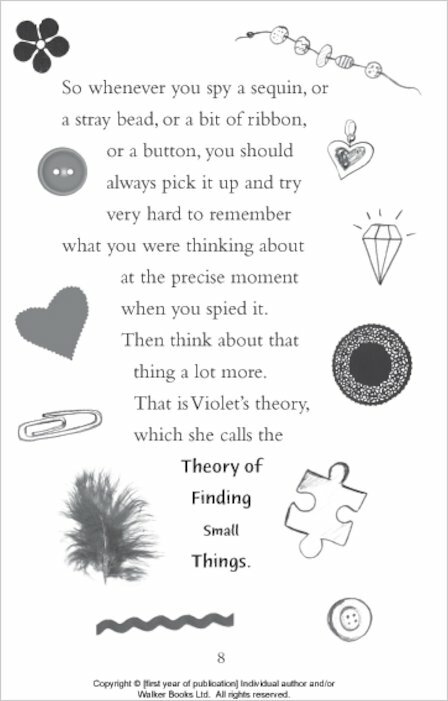 It’s the start of a very important idea. 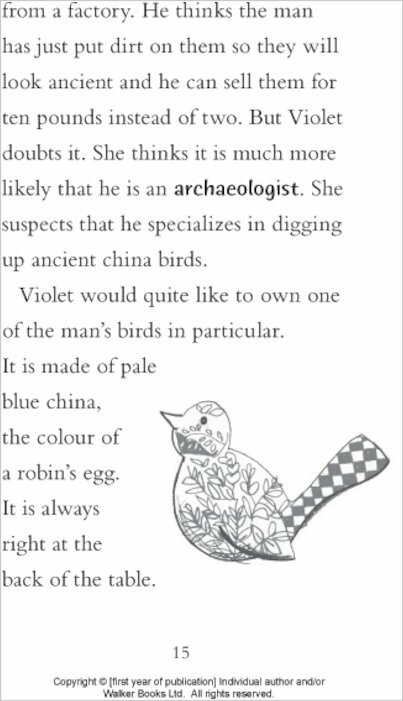 She WILL find a way to own the bird. 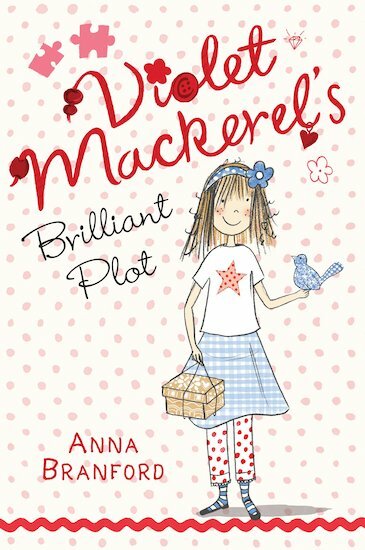 All she needs is a brilliant Violet Mackerel plot!